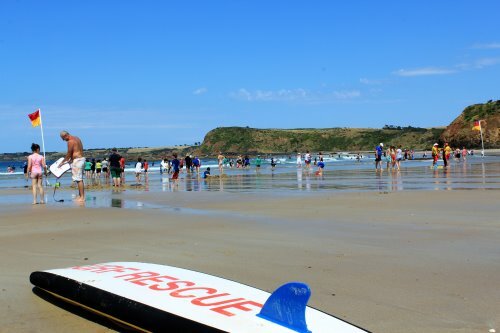 Are you Phillip Island savvy...? If you want to be Phillip Island savvy read on. 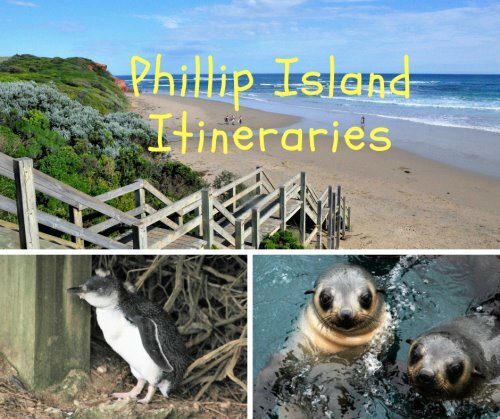 Phillip Island is a small island, just off the coast of a big island - Australia! Think of the island and think of little penguins and the nightly penguin parade when they waddle ashore after a day fishing. But you will be amazed at what other experiences are on offer - discover how much can fit into this small dolphin-shaped island and plan your next stay! I have been an island resident for over twenty years and have been to every beach, visited every attraction and walked every walk. You will love our beaches. Choose your favourite and spend a summer day - swimming, surfing, snorkelling in rock pools, collecting shells, sunbathing, playing beach cricket - whatever takes your fancy! Enjoying a Phillip Island beach! If you want to actually get on the water, the waters around Westernport Bay have great fishing spots - catch a fish to grill for the evening barbeque. In winter marine mammals such as whales can be seen as they migrate from the Antarctic to warmer waters. Cruises and flights give you a chance to get a close up view of these amazing creatures. And don't worry if the weather closes in. Take cover in a museum and discover the history of surfing, motor racing, the island and more. There is a diverse range of attractions, activities, events, bird and wildlife to excite and delight all visitors. You can watch the cavalcade of leather-clad spectator bikers arriving for the Australian motorcycle grand prix, and involve yourself in the excitement of this international event. Or get the adrenalin flowing with a hot lap of Phillip Island Circuit. Although world famous for the nightly parade of little penguins at Summerlands Beach, the island offers other great birdwatching - you will see tiny finches to huge Cape Barren geese. Rhyll Inlet is Ramsar listed wetlands, with huge populations of migratory birds. 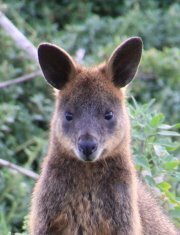 Cuddly koalas at the Koala Conservation Reserve will enchant you, as will the swamp wallabies grazing, or lazing under the trees. You can take a cruise to Seal Rocks to see the captivating antics of the huge colony of Australian fur seals. Choose a cafe in the main street in Cowes and sit back and people watch as you enjoy a coffee or late breakfast. Remember, you are on island time! Gourmands might prefer to visit the farmer's markets - barbeques are de rigeur on the island so stock up on some local goodies. Or indulge in some wine tasting at the island's wineries. Our balcony is the centre of our time on the island - bird and wildlife watching, stargazing, reading, eating and drinking. All year round we enjoy what this special island has to offer - you can too! ....Or go for a ride on one of the bike paths. 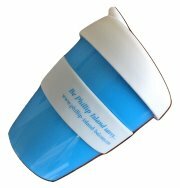 Follow my website and you will love Phillip Island as much as I do! P.S Don't miss anything! - explore the Phillip Island Balcony site map.